WordPress is the extremely popular open source shopping content management system (CMS) used by thousands of people world wide. Media management, visitor commenting, extended plugin support and easy theme management are some of the many features available along with a vibrant support community willing to help new users. Here are our top tips to help you with optimising your WordPress site. The web server will then compress this content before it’s transferred over the Internet to your visitor’s browser. On the other side, your browser decompresses the content before rendering it. This significantly lowers the size of information that’s being transferred lowering the loading times of your pages. If you would prefer not to edit your .htaccess file directly then a page caching plugin such as W3 Total Cache can control this feature as well. See the Page Cache section below for more details. Image optimization is another important technique to speed up the delivery of content from your WordPress site. Smush.it uses optimization techniques specific to the image format to remove unnecessary bytes from image files. 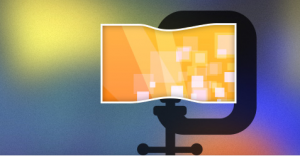 After Smush.it runs it reports how much space has been saved by optimizing the web site images. Plugins are a powerful way of extending the feature set of WordPress beyond what it already provides. Too many plugins, or the use of poorly written plugins however can hinder the performance of your site. Keep the use of plugins to a minimum, and only use trusted sources such as the WordPress Plugin Directory to read and review third party extensions. It’s a good practice to optimise your WordPress database from time to time. This is similar to using a disk defragmenter on your local hard disk, except that you are optimising WordPress site’s the data contained within your WordPress database instead. 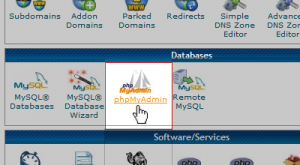 Fortunately, making this optimisation is quite easy when using the phpMyAdmin tool available in cPanel. A list with all the database’s tables will appear. Tick the tables you wish to optimize, or simply click [Check All] to select all tables. From the [With selected:] drop-down menu choose Optimize table. This will execute the OPTIMIZE TABLE SQL query on the selected tables and they will be updated and optimised. Most modern web sites are dynamic in nature meaning the content of a page is generated on the fly each time a visitor arrives to the site.Content such as text, images and templates are drawn from the WordPress database to create the final pages your visitor sees. Page caching is a service that allows dynamic web page content to stored and generated as static HTML files. Popular pages are retrieved from the page cache and not generated dynamically from the WordPress database each time a visitor arrives. This provides a dramatic improvement in performance particularly if you have hundreds or thousands of visitors arriving each day. W3 Total Cache is a plugin for Optimising WordPress Site speed that will help to generate a page cache for your site. Like many other modern web applications WordPress is written in a popular scripting language called PHP. Web pages written with PHP require the web server to run through the contents of the script and execute it each time it is viewed. With thousands of visitors potentially arriving to your store this process can be a potential bottleneck in your web site’s performance. Like Page Caching, a PHP accelerator such as Alternative PHP Cache (APC), ionCube or XCache will help to reduce server overhead in processing PHP code by caching previous requests and thereby avoid the parsing and compiling of PHP source code each and every time a page is visited. PHP Acceleration is best utilised within a Virtual Server environment as certain degree of customisation is required to deploy the acceleration service, something that a shared hosting environment typically won’t provide you. Regardless of how well your web site is optimised there will come a point where the default resources of a particular hosting plan will not sustain the current levels of visitor traffic. This is a particularly prevalent for ecommerce sites with thousands of products. As your WordPress site increases in size and complexity you will need a more responsive hosting solution that can be scaled up to provide more RAM, CPU resources and storage as required. For a growing ecommerce store an AUSWEB VMware VPS Hosting package will be the best choice for providing a fast and reliable online shopping experience with WordPress. To more fully explore all the options that our VMware solutions have to offer please see our VPS Cloud Hosting packages. WordPress is easy to install with Installatron, our 1-Click Script Installer.